The small form factor crowd has grown in leaps and bounds over the last few years. Every day on Facebook or some other spot on the internet you will see some pretty impressive builds with tiny motherboards stuffed in them. However, one of the things that has always seemed to be missing I full chipset support. 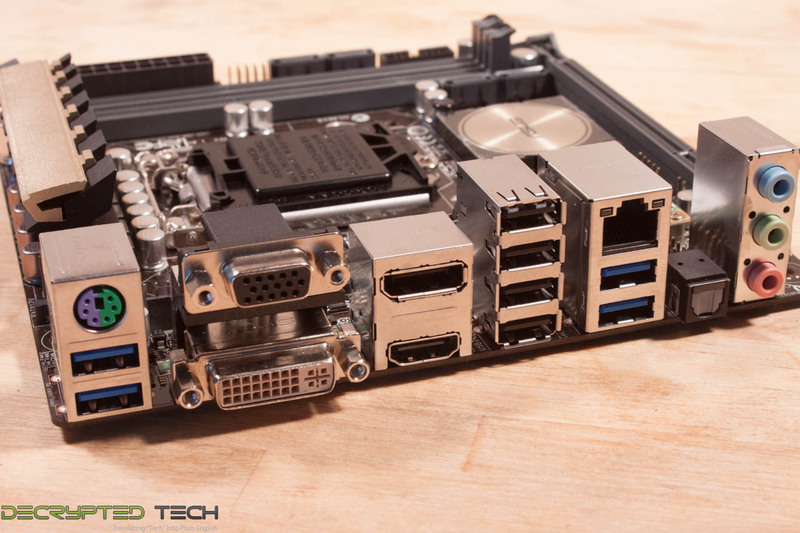 Most of the time you can find mini-ITX boards running business or consumer chipsets. Fortunately, this trend has been changing and we are seeing more powerful boards hitting the market. 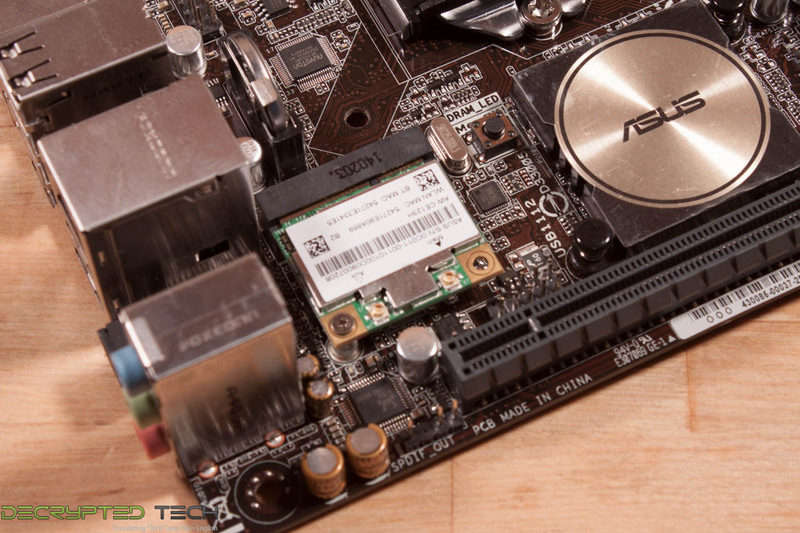 We have one of these newer boards in the lab in the form of the Asus Z97I Plus. 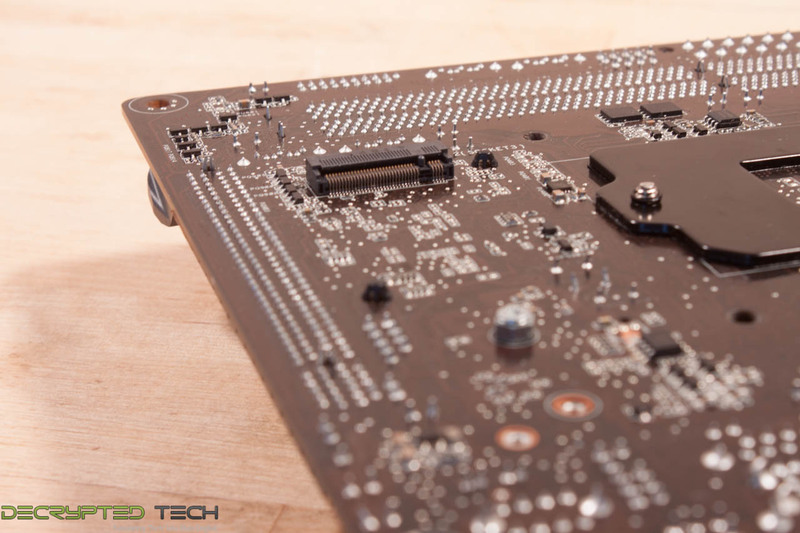 This Z97 chipset based board is intended to put all the power and features of larger boards into a tiny package. Let’s see how well Asus does at reaching this goal. As you would expect the box that the Mini-ITX Z97I Plus comes in is very small. The front contains references some quality numbers including 7,000+ hours of validation time for the design. Asus did drop in some Intel related logos, but that is pretty normal now. The back is a more typical box in miniature. You get a small picture of the board with labels for the major parts on the board. Asus also dives a little deeper into what those numbers on the front meant. You also get a specification listing and some words about the audio and network performance just to make sure you get that this is a solid choice for gaming. 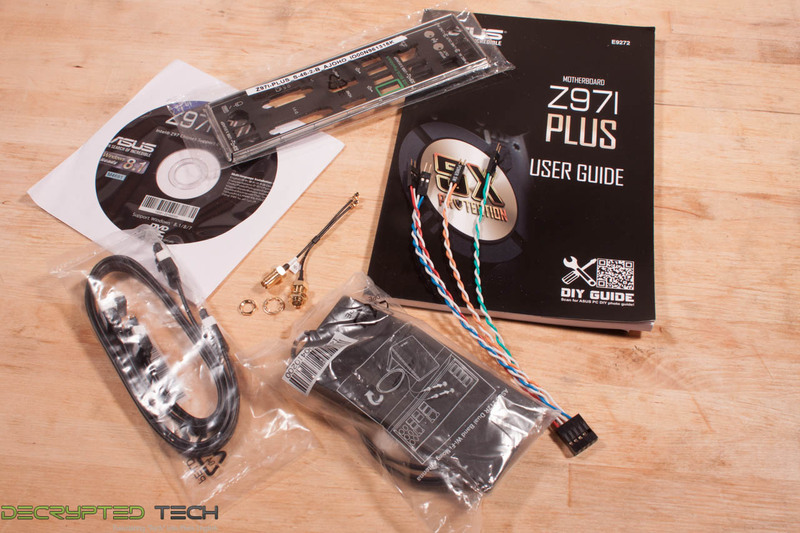 Inside the box we find the Z97I Plus. Directly underneath that you will find all of the accessories. 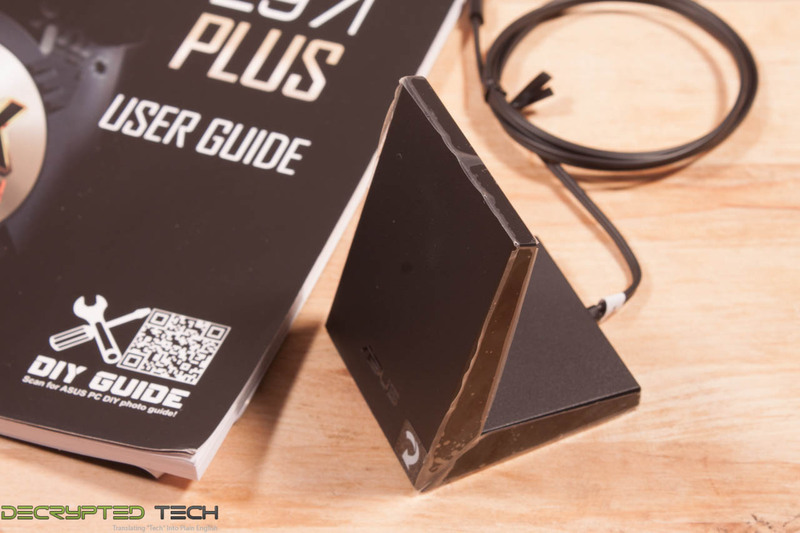 Asus has included two SATA cables, an antenna for the 802.11ac wireless adapter, an I/O Shield, manual, driver DVD, and an adapter for the front end header that looks like it was custom made to help keep things very clean. So with all of that out of the way, let’s take a closer look at the Z97I Plus and see what Asus has packed into this tiny package. The layout of any motherboard is important. Even simple mistakes in component placement or the signal traces can cause major issued in performance and stability. With the ATX form factor we find that this is even truer; the devices we drop onto them demand more and cleaner power while the signal speeds push faster and faster. 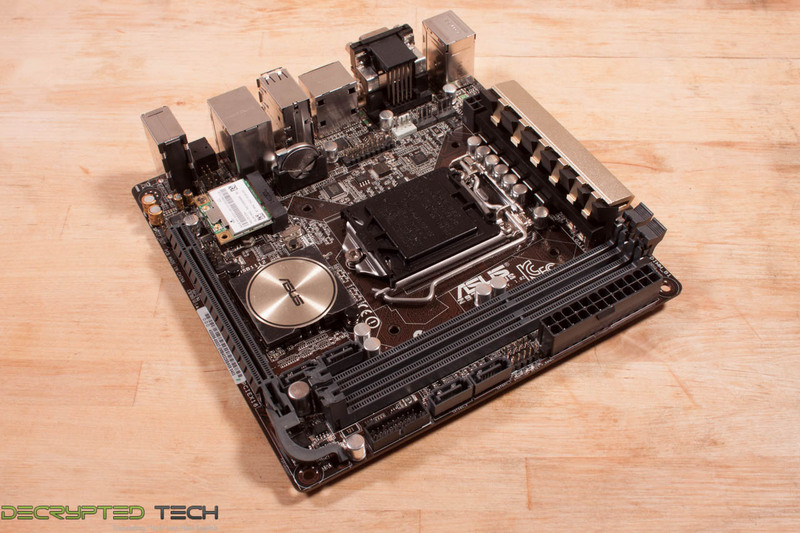 As we mentioned before the Z97I Plus is a mini-ITX motherboard. Normally when you are looking at something this small you are not going to get a lot or power. 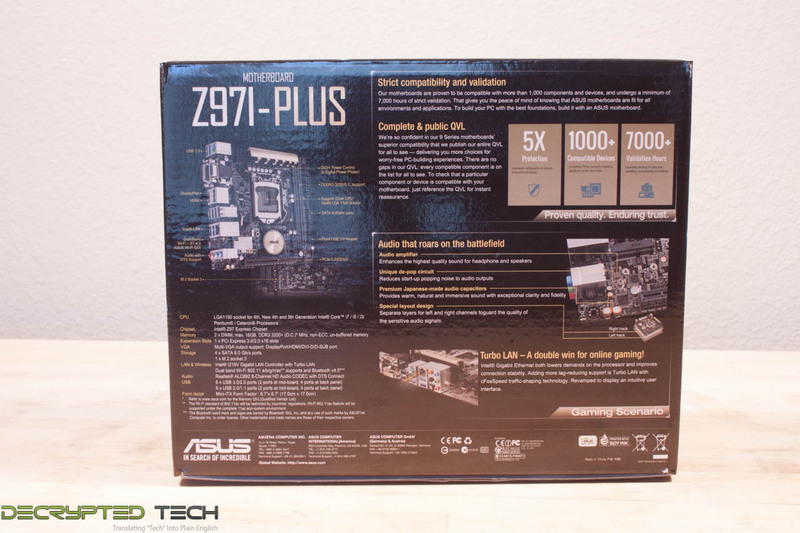 In this case Asus has made the effort to create a board that runs on the full Z97 chipset and also give you close to the same performance that you would get out of a full sized board. This is clear when you look at the tracing layout of the board. It is clean and well-tuned from what we are seeing (which is hard to do at this size). With the smaller size you do have to make some concessions though. You are only going to get a pair of DDR3 slots and only on PCIe x16 slot. However, you do still get multiple USB 3.0 ports and a front header. Asus did make an unusual split with the SATA ports though. Instead of placing them along the front edge of the board they split them with two along the front edge of the board and two right behind the memory slots. This puts them in an awkward position if you drop in a large GPU. 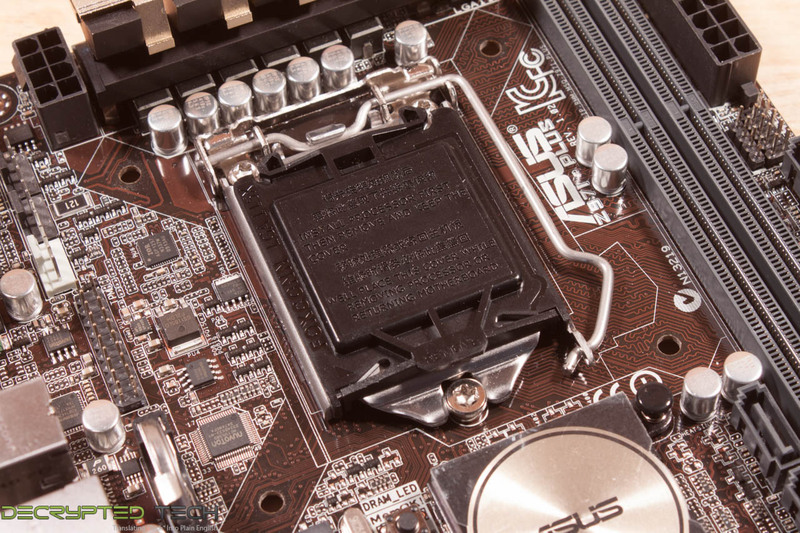 Asus does give you some nice room around the CPU if you want to drop in a larger cooler, but you will have to take the proximity of the RAM slots. Looking at the top edge of the board we find all of the major voltage regulation for the board power. 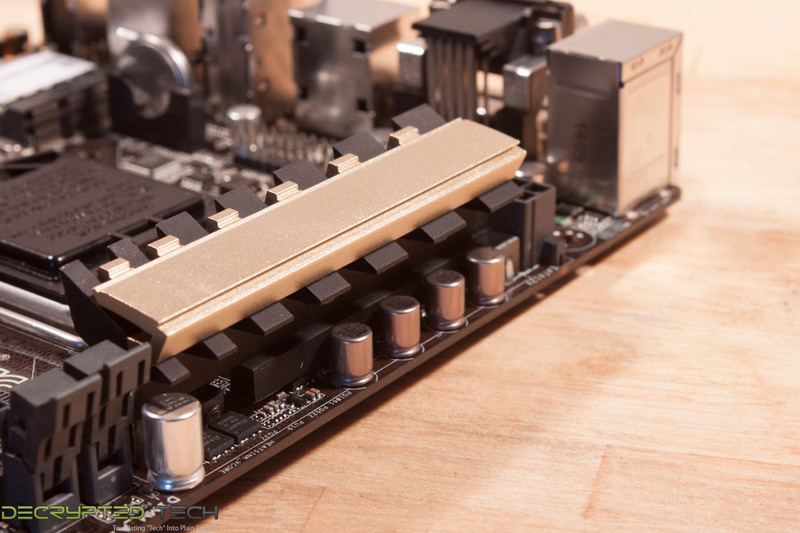 Asus has covered this with a fairly cool looking heatsink. At the end of this heatsink there we find the 8-pin aux power connector. As with 99% of these it is in a position that is awkward unless you use an adapter. In fact just go ahead and get one regardless of the board you buy. 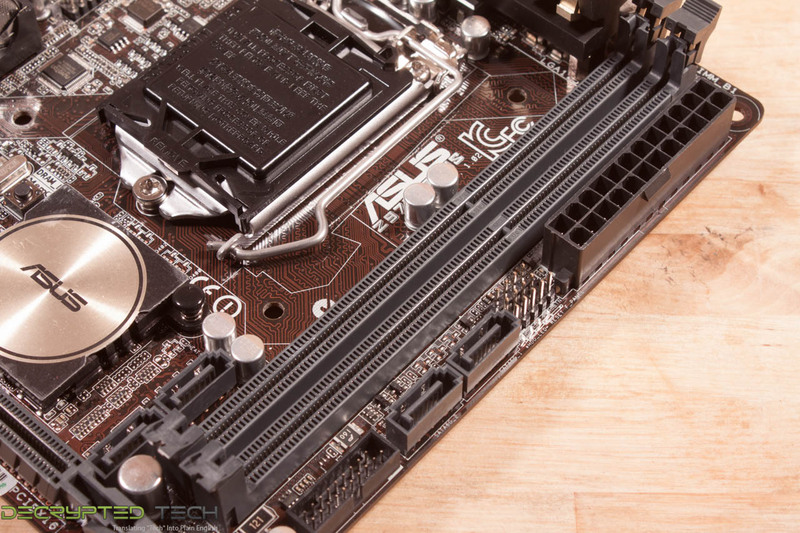 Asus dropped in three PWM fan headers in this region just to make sure they gave you enough. 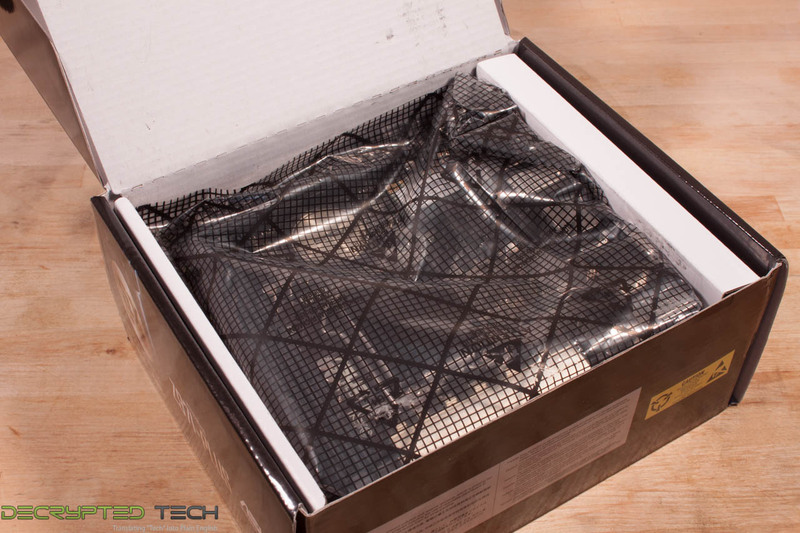 This will cover most of the closed loop water cooling systems on the market as well as the higher-end air coolers. Next to that is a TPM (Trusted Platform Module) header and the BIOS battery. Below that is one very cool feature of the Z97I Plus, a dual band 802.11ac wireless and Bluetooth adapter. Now we do want to point one thing out right around the wireless adapter; there are what appear to be four caps that are not solid. These are intended for use with the audio system on the board and are filter capacitors (to make the audio cleaner). These are necessary to help keep the amplifier on the board clean and to help the audio maintain its vibrance. 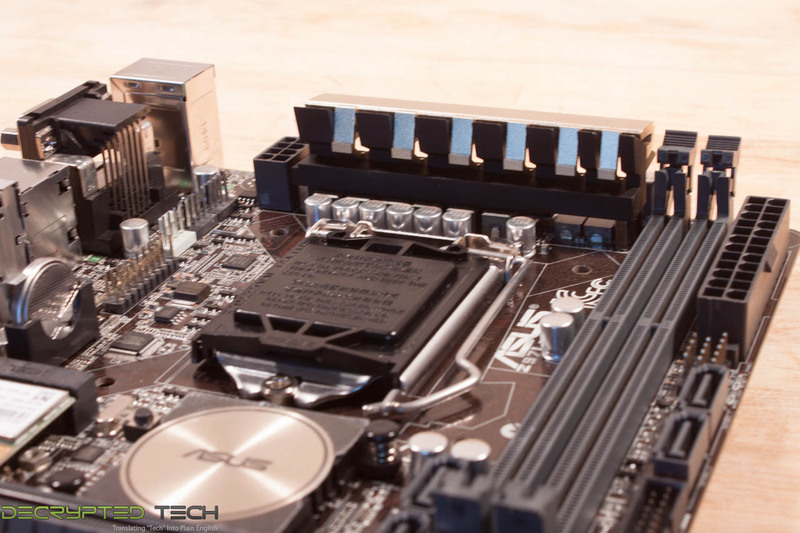 The Asus design team also separated the right and left channels with their own board layer. It is a nice touch on the part of Asus. Oh yeah, one more item we want to talk about. On the bottom of the board is an M.2 SATA connector for a small form factor SSD. With the number of these that just hit a Computex this is going to be an option that will bring some very interesting build to this board. Moving around to the I/O ports we find a normal layout: multiple USB 3.0 and 2.0 ports along with DVI, VGA, Displayport, and HDMI. The audio only has three ports and an optical out, but that should be enough for most PC surround sound systems. For Ethernet you get an Intel Gigabit port and some new software to help you make the most of it. You can check out our video coverage as well to get a better feel for the board. In the current market motherboard (and indeed almost all component) performance is very close. The days of a large performance advantage between boards using the same chipset are long gone. That is unless someone makes a HUGE mistake (like runs traces completely wrong). Now, the thing that differentiates different products is the features. These are things like power management, extra slots, better audio CODECs etc. It is these items that R&D teams work so hard to drop into what are really identical pieces of hardware at their most basic level. 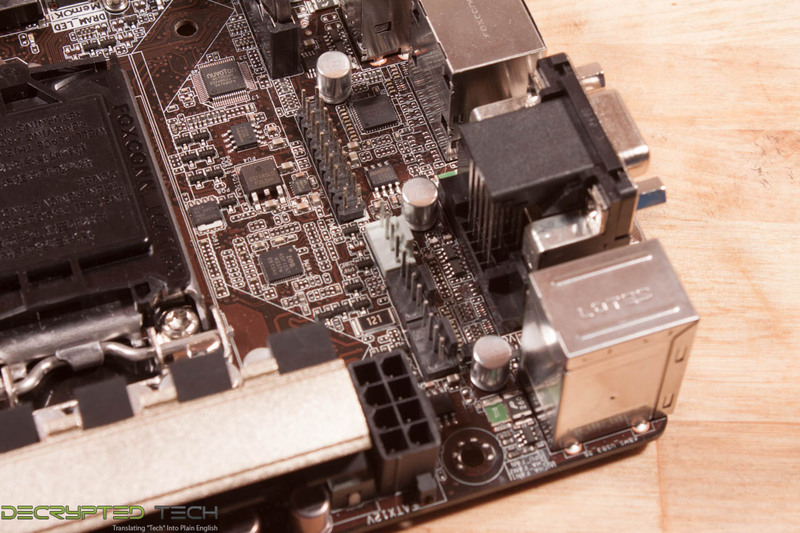 We cannot say this enough, Asus’ attention to the audio on this board is something that puts it well ahead of other Mini-ITX boards on the market. Even looking at just the layout and design it is an impressive feature. The addition of an M.2 connector and 802.11ac wireless is just icing on an already nice cake. These two options add more to the appeal of the board. Dropping in a full 8-piin power connector gives you more options for overclocking while the Intel LAN should give you consistent and industry standard performance for your network, if you go wired over wireless. Well… yeah at this stage of the game if you do not have these two… you should not even bother. 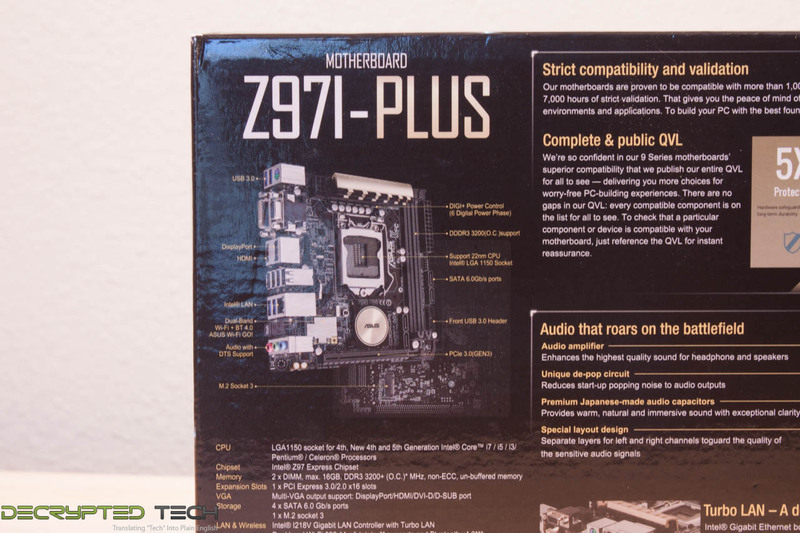 So far we have to say that we are impressed with the Z97I Plus. Asus has stacked some pretty great features into this board and unless they really screwed up on the execution then we should see some solid performance out of it. 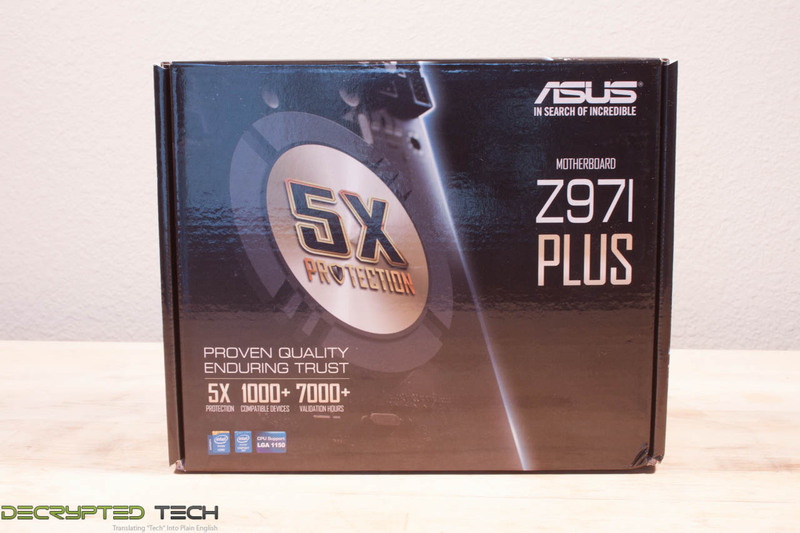 In fact Asus themselves have indicated that the Z97I Plus can max out both a 4770K and a 4790. This is quite a thing to say considering the new Core i7 4790 has already hit over 5.5GHz on air cooling. Fortunately for you and us we have a Core i7 4790 in the lab and will be able to put this to the test.